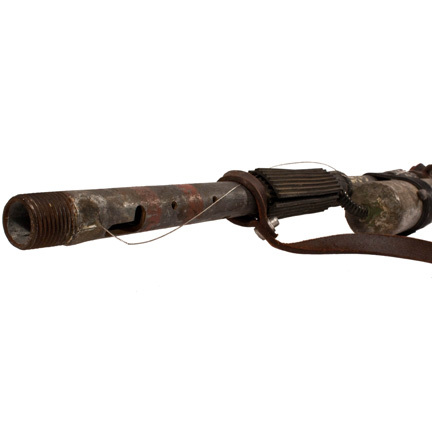 This futuristic prop weapon was used by a “Nimbus III Warrior” background character in the 1989 motion picture “Star Trek V: The Final Frontier”. 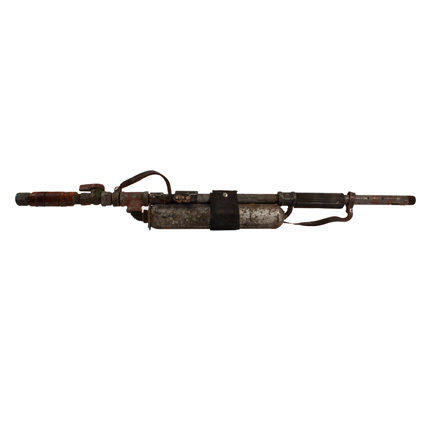 The prop is constructed of metal plumbing and hardware pieces with rubber strapping and is attached to a leather and rubber shoulder strap. 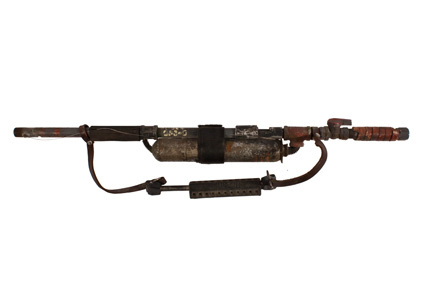 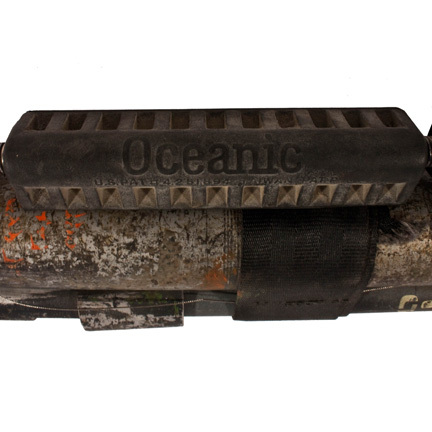 The metal canister and barrel have traces of their original green and red hand painted details and the middle section of the prop weapon is decorated with faux alien writing. 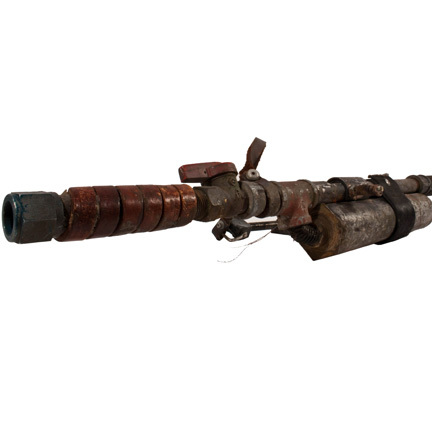 This was one of a limited number of prop weapons that were custom made for use on the production and was used by one of the “Nimbus III Warrior” background characters. 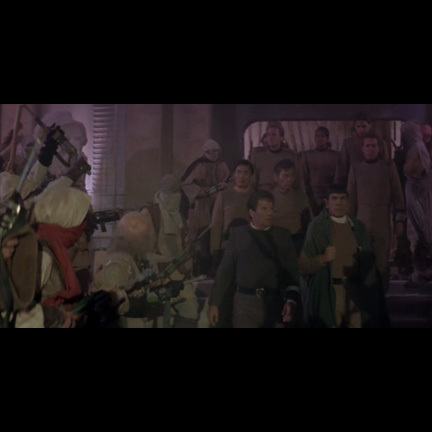 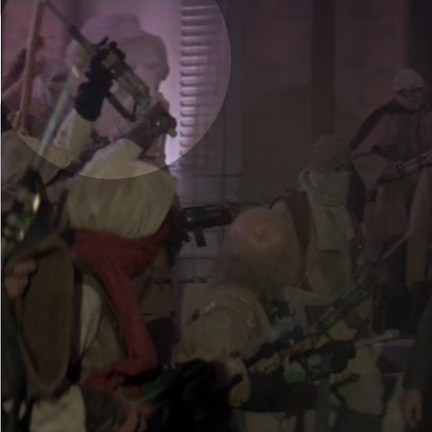 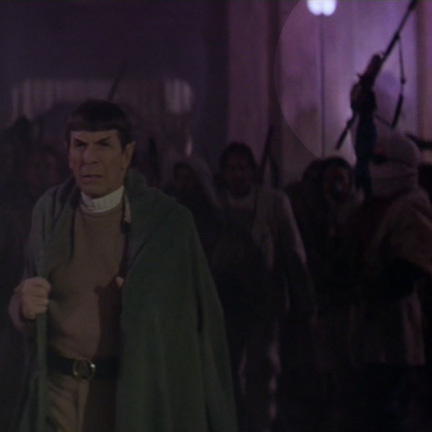 This specific prop can be seen notably in several scenes near the beginning of the film when Captain Kirk (William Shatner) and his crew arrive on Nimbus III on a supposed rescue mission, only to realize they’ve been duped and are captured by the Vulcan “Sybok” (Laurence Luckinbill) and his army of Nimbus III warriors. 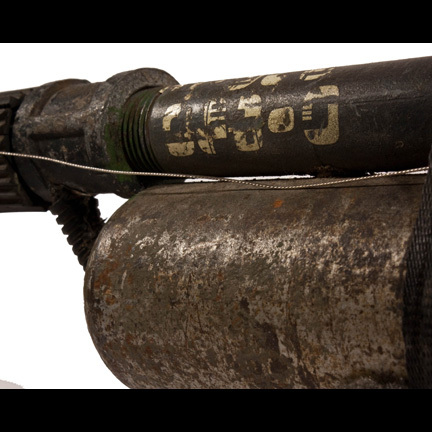 The prop is in hand distressed / aged condition as seen in the film and is accompanied by a letter of authenticity.